Comfort is key at Timeson and to ensure you experience the best there is, we have refined the dozens of measurements it takes to make each garment just right for you. Our tunic tops are carefully constructed to be flattering, easy to wear and to give you the perfect comfort contour. 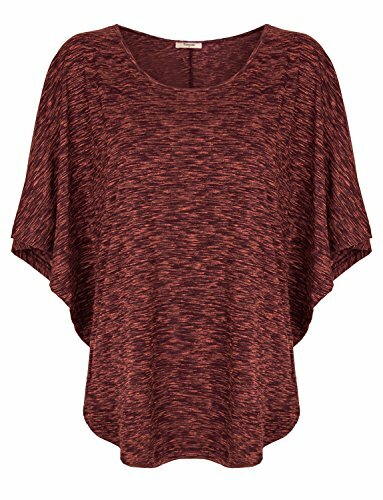 This perfect crew neck elegant tunic top is a great piece to layer or wear alone with your favorite denim. S: Length 24.4", Bust 39.4", Sleeve 14.6"
M: Length 25.2", Bust 40.9", Sleeve 15"
L: Length 26", Bust 42.5", Sleeve 15.4"
S: Length 32.3", Hem 29.2", Sleeve 13.4"
M: Length 33.1", Hem 30.7", Sleeve 13.8"
L: Length 33.8", Hem 32.3", Sleeve 14.2"